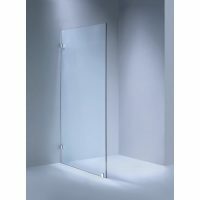 This attractive shower screen door & return panel will add style and utility to any bathroom and compliment any decor. 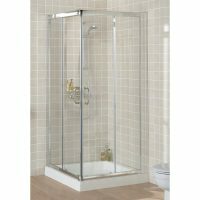 The Frost Frameless Shower screen is an excellent choice for any modern bathroom design and is as practical as it is attractive. It is design to blend well with the interiors of any bathroom design. Modern, contemporary and traditional bathrooms will all benefit from the sleek and sophisticated looks of this shower. 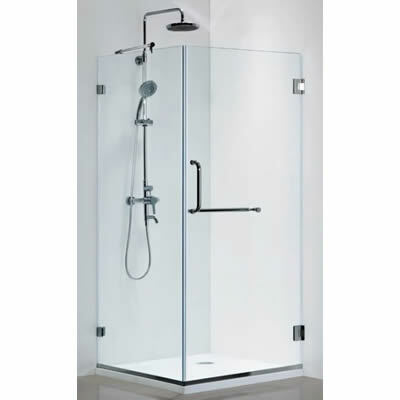 The Frost Frameless Shower is available in a variety of size options. Choose between a 90cm x 90cm and a 100cm x 100cm shower. 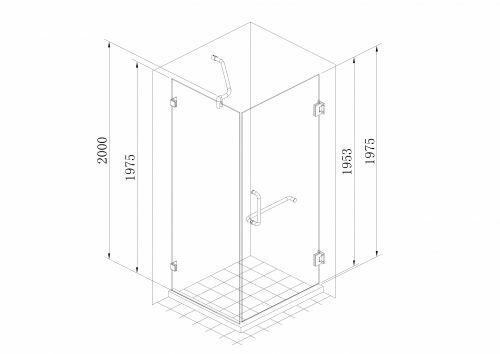 The Frost Frameless Shower features a rectangular hinged door and stylish chrome handles. Heavy duty stainless steel brackets hold the glass panel securely in place. These polished brackets can be screwed onto the floors and walls and they will not chip or rust with time. The glass panel is made from 10mm toughened safety that has been tested to meet the Australian AS2208 safety standards. This makes the Frost Frameless Shower incredibly safe for all. Furthermore, the glass panel are very easy to clean. The Frost Frameless Shower is a quality shower screen that will last many years. It is in stock and available at an unbelievable price only at Ross’s Discount Home Centre. Shop online and receive free shipping to Perth Metro areas or visit our showroom in Guildford for immediate pick up.